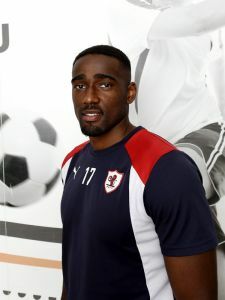 Raith Rovers are delighted to announce the signing of free agent Nathaniel ‘Nat’ Wedderburn. The 27 year old midfielder (who can also play in central defence) has played over 200 first team matches since signing for Stoke City after coming through the youth academy at The Britannia Stadium. A native of Wolverhampton, Nat spent time on loan from The Potters at Notts County and Hereford before leaving Stoke to sign for Northampton Town in 2010. After moving on to Corby Town for season 2012 – 13 Nat then made the move north to Scotland, signing for Colin Cameron at Cowdenbeath in July 2013. A move to SPFL Premiership side Inverness Caledonian Thistle then followed for season 2015 – 16, before Nat signed a pre-contract agreement prior to joining Dunfermline Athletic and playing there for the last 2 seasons.